Prosthetic Ordering | CJ Socket Technologies, Inc.
You must be a CJ Socket-certified prosthetist to order. Visit our Training page for details on our one day course. You take the Sail measurements from your modified cast or scan. You send the Sail Order Form to CJ Socket Technologies and we’ll turn it around within 24 business hours from receipt of the order. You fabricate the J-shaped socket and install the finished Sail. Don’t have a lab? Contact us about C-Fab for your entire socket. You deliver a user adjustable volume socket to your patient. 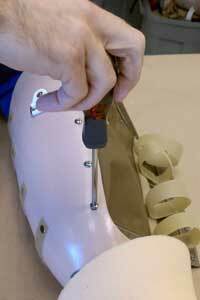 Additionally, you can easily adjust the fit using common prosthetic lab equipment. Although the CJ Socket is relatively simple, there are pitfalls if done incorrectly. All prosthetists are encouraged to register for a one day certification course regarding the revolutionary CJ Socket design. We are committed to your success and will provide training and certification at your facility. If you are not a CJ Socket-certified prosthetist, please view the Training page for course Agenda and additional information. CJ Socket Technologies provides your socket Sail! 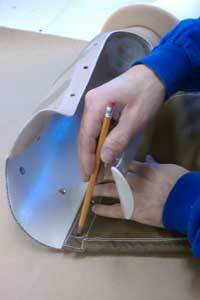 We are committed to providing your Sail quickly and cost-effectively. Each Sail is custom-made and shipped with mounting hardware within 24 business hours of receiving your measurement form. 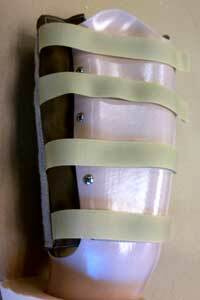 This allows you, the prosthetist, to focus on the rigid J-shaped fabrication which uses familiar laminates or thermoplastics. Once the rigid J-shaped socket is made, installing the CJ Socket Technologies’ Sail is quick and easy. 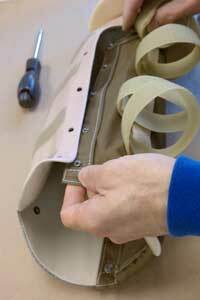 Please visit the Resources page for the CJ Socket Sail Installation Instructions. 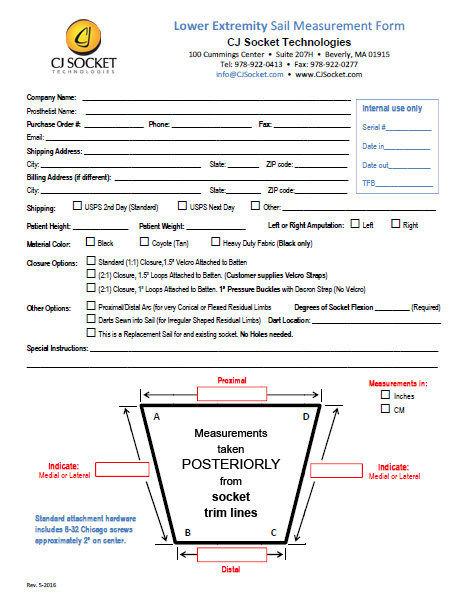 Download and complete the Lower Extremity Sail Order Form. Fax (978.922.0277) or email the completed form to us. CJ Socket Technologies will turn your Sail around within 24 business hours from receipt of your order. 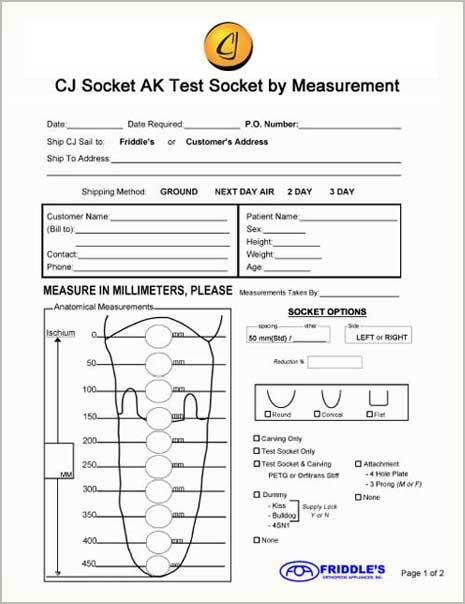 Download and complete both pages of the CJ Socket AK Test Socket by Measurement Order Form. Fax (864.369.1149) or email orders@friddles.com both pages of the completed form to Friddle’s. CJ Socket will automatically ship the Sail to Friddle’s and they will install it onto your socket. We can ship the Sail directly to your office if you request it on the order form. Note: The CJ Socket AK Test Socket by Measurement Order Form can also be downloaded from Friddle’s website. 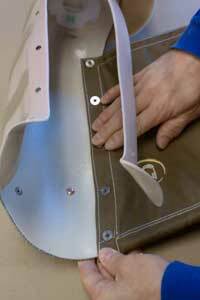 If you wish to order an upper extremity Sail, please contact our office for instructions. 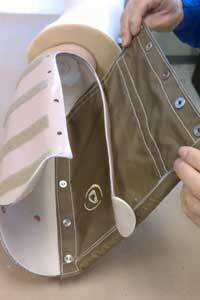 In the near future, you will also be able to download the Upper Extremity Sail Order Form from our site. As always, if you have questions, please feel free to call 978.922.0413 or email us.